Could Boxing be Dropped from the Olympics? Boxing, which has been a Summer Olympics mainstay since the 1904 St. Louis event, with the exception of the 1912 Stockholm Summer Games because Sweden had outlawed boxing, may be on the Olympic ropes. 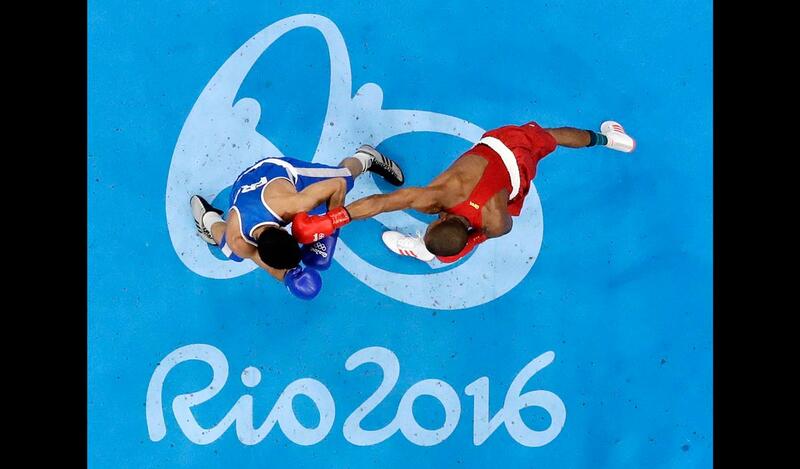 The International Olympic Committee is in a dust up with the International Boxing Association. The IOC may drop the boxing program as early as the 2020 Tokyo Summer Games. The IOC is keeping boxing on the Tokyo schedule for now but might decide to drop the sport during its Tokyo meetings between November 30 and December 2. The boxing association has not received money from the IOC and the Switzerland-based sports organization has a laundry list of complaints against the boxing group. The IOC’s Executive Board “highlighted its significant ongoing concern with a number of key areas including governance, ethical and financial management that require further information and some confirmation.” It is quite odd that the IOC is concerned about corruption since the Olympics it seems attracts corruption. The IOC also has problems with the International Weightlifting Federation and could drop the sport from the 2024 Paris Summer Olympics. There are doping problems. The International Weightlifting Federation has signed an agreement with USA Weightlifting and the United States Anti-Doping Agency to provide anti-doping education worldwide. IWF officials think they have made some strides and will be able to remain on the Olympics roster. Boxing has had significant problems since the glory days of Muhammad Ali and Joe Frazier of the early to mid-1970s. At one time, at least in the United States, boxing and/or horse racing was the number two or number three sport in the country behind baseball. The heavyweight champion was among sports royalty. The sport has a strong following in other countries and the Olympics made stars of fighters including George Foreman. Boxing desperately needs stars and losing the Olympics would hurt. I don’t want boxing to be dropped from the Olympics. Olympics is a great sports event that has lots of people competing for it from all over the globe and the Olympics is such a great start for those who wants to be successful in their career. So please don’t remove boxing in the Olympics. To make boxing a sucess in the Olympics, just include professionals, it has been done in cycling and tennis, so why not in boxing. This would bring the sport’s popularity at the Olympics up to the most watched sport, from being one of the least watched to the most watched sports. Seeing the best professional boxers fight over say 6 three minutes rounds for a gold medal. Image Anthony Joshua up against Wilder or Lomachenco up against USA’s best. Even if the fights don’t go on their pro records, it makes Olympic boxing very attractive all of a sudden. Pro don’t have to sign up to be picked by their countries team, but I bet most top professionals would put themselves forward for another shot at a gold medal. Olympic sport historically is about the best sports people competing with each other, at the moment in boxing that isn’t the case, to fix the problem, invite professionals in and make boxing at the Olympics a world class sport, where the elite can fight for their own countries for a gold medal.